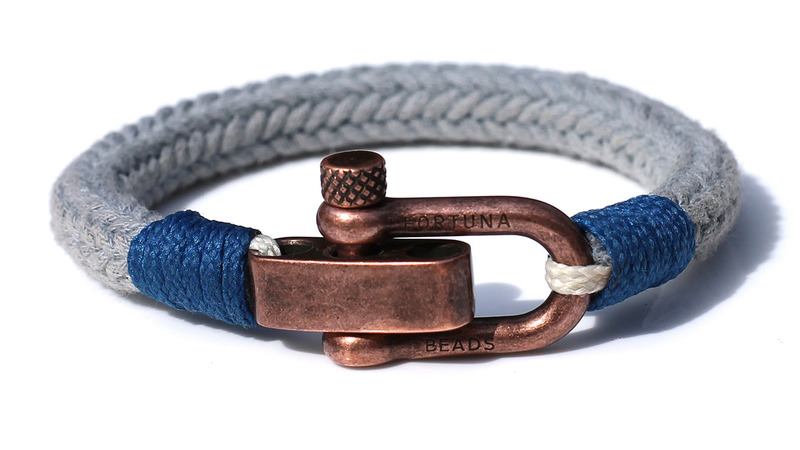 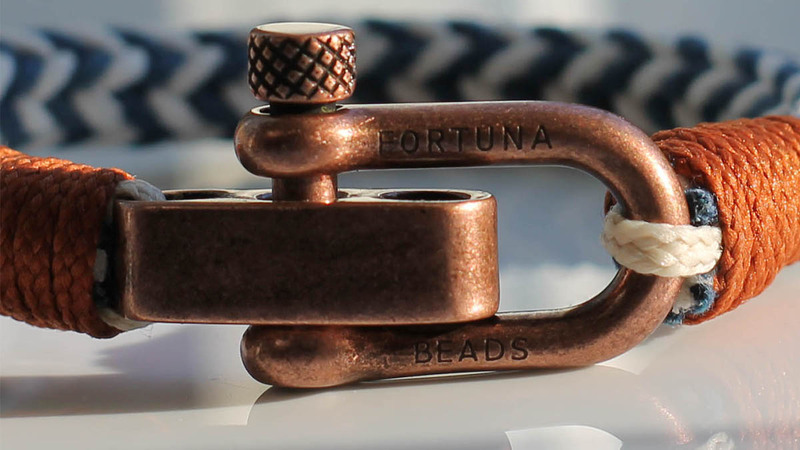 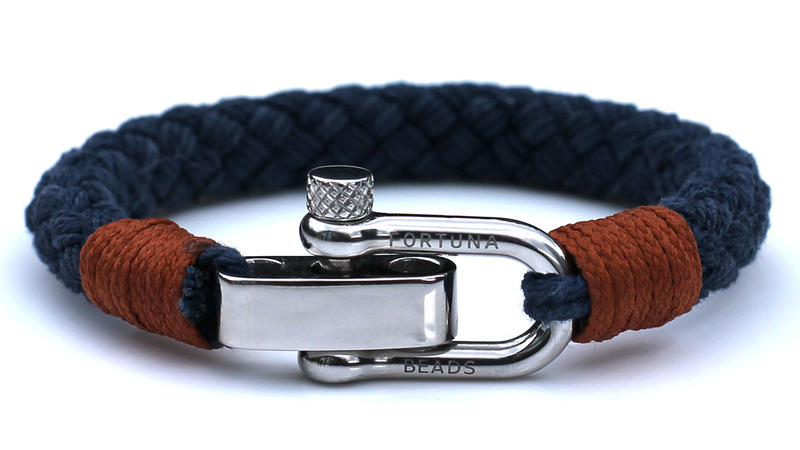 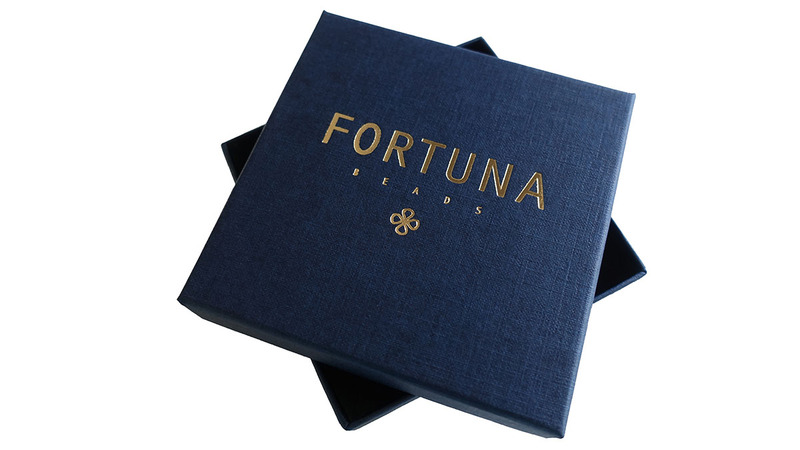 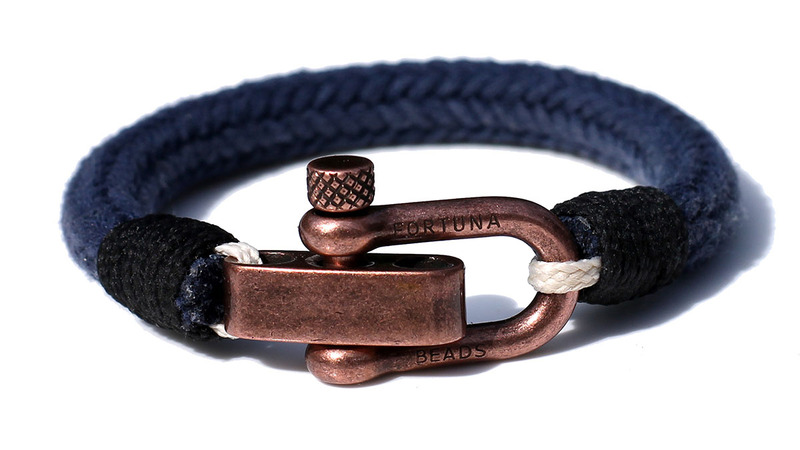 A light mouse grey cord with royal blue finish makes this nautical C2 bracelet from FortunaBeads a great addition to your casual outfit. 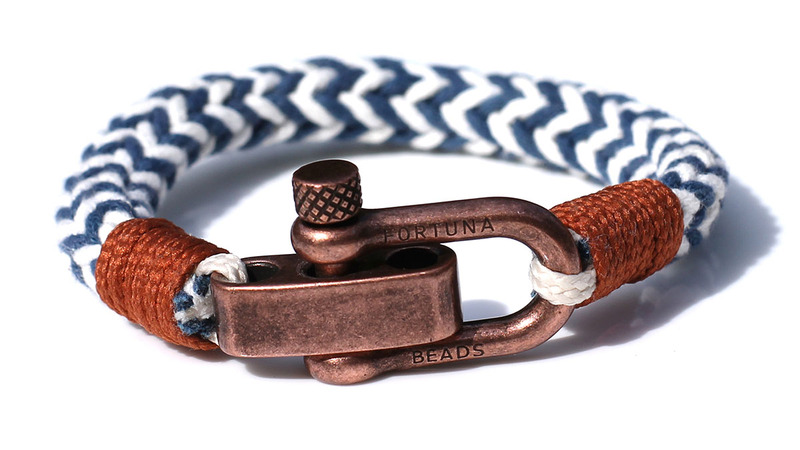 If you’re looking for a nice touch to add to your grey sweater and denim jeans, you’re at the right place with this piece. 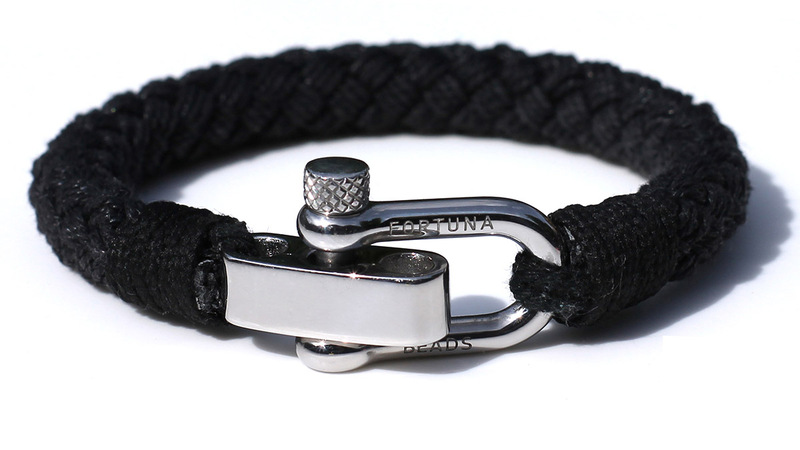 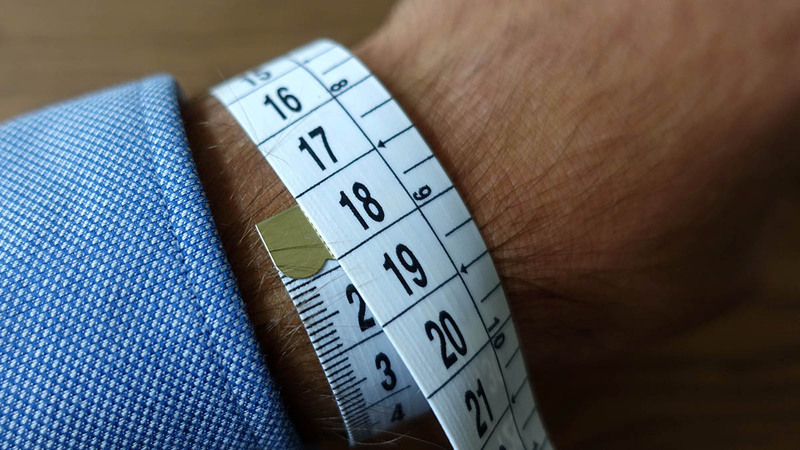 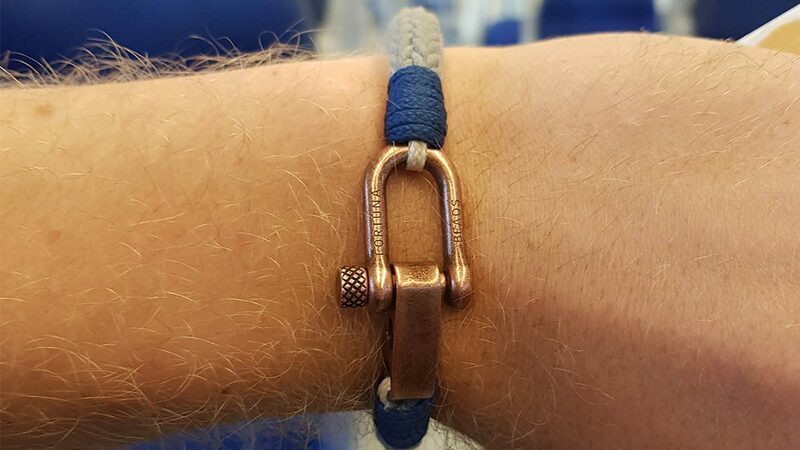 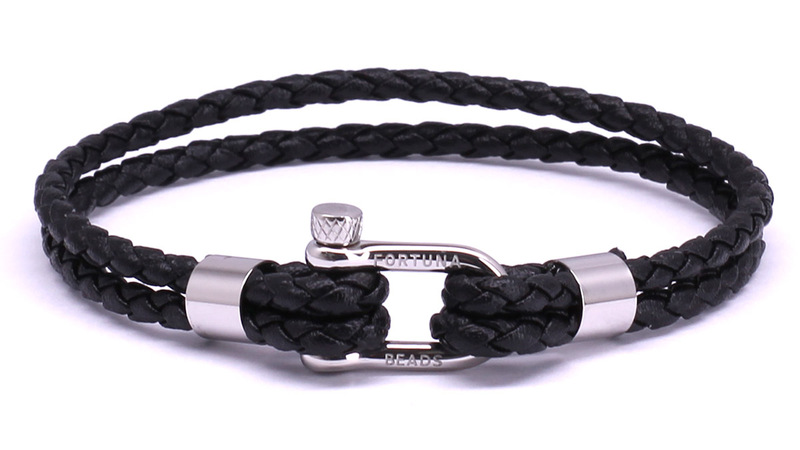 The D-shackle is easy to adjust in size, resulting in a bracelet that’s always the perfect fit. 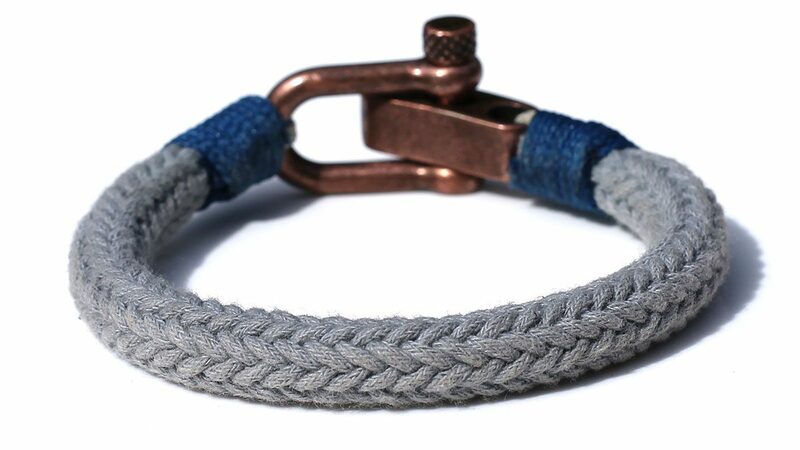 8mm Light Grey braided rope.